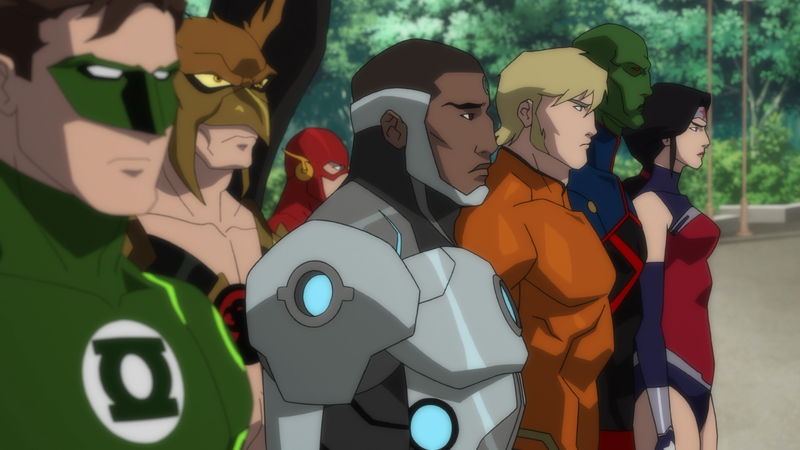 The DC Animated Movie Universe has been rather decent with only a couple of clunkers (Justice League vs. Teen Titans stands out) and their latest, and perhaps biggest, is The Death of Superman the first part of the story concluding with Reign of the Supermen set for a 2019 release. This animated movie is easily the best within the DCAMU and right up there with The Dark Knight Returns adaptation within all of DC animated movies. The story is based off of the famous comic series that ran from December 1992 through January 1993 and finds Clark Kent (JERRY O’CONNELL) finding his relationship with Lois Lane (REBECCA ROMIJN) becoming more serious and facing the decision to open up and tell her that he’s Superman. Meanwhile, the rest of the Justice League — Wonder Woman (ROSARIO DAWSON), Green Lantern (NATHAN FILLION), The Flash (CHRISTOPHER GORHAM), Aquaman (MATT LANTER), Cyborg (SHEMAR MOORE) and of course Batman (JASON O’MARA) — doing their parts in keeping the planet safe. However, when a strange asteroid is blasted from another dimension, crashing into and destroying a space shuttle piloted by Hank Henshaw (PATRICK FABIAN) — whose role in Reign of the Supermen is significant — on its way onto Earth. But as the rock crumbles, revealed inside is a beast and eventually making its way to Metropolis, with the seemingly nobody able to take it down. That is, except for Superman who valiantly fights the creature, nicknamed by Lois as “Doomsday” with a brawl for the ages. Nearly everything was amazing. 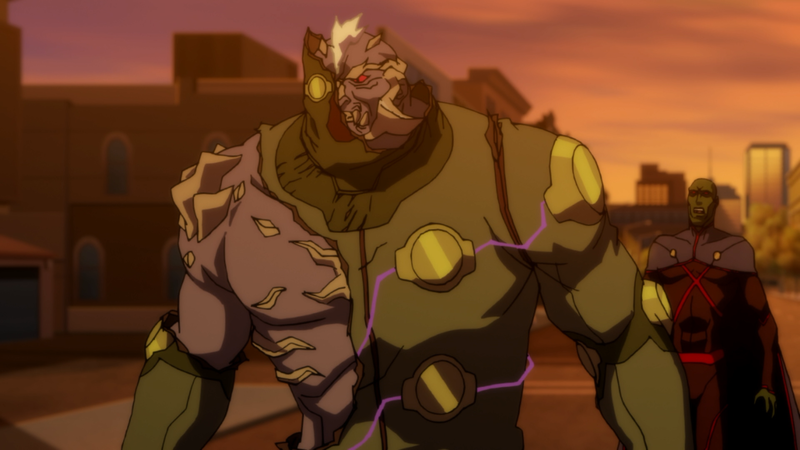 The voice cast, many returning from previous animated films, were great including Jerry O’Connell striking that balance of boy scout and gallant hero; Rosario Dawson is fierce in her few scenes including one against Doomsday; and Jason O’Mara’s Batman still isn’t my favorite, but I’ve come to accept him in the (voice) role. Rebecca Romijn was a great addition voicing Lois Lane and probably helps she and Jerry O’Connell are married in real life. 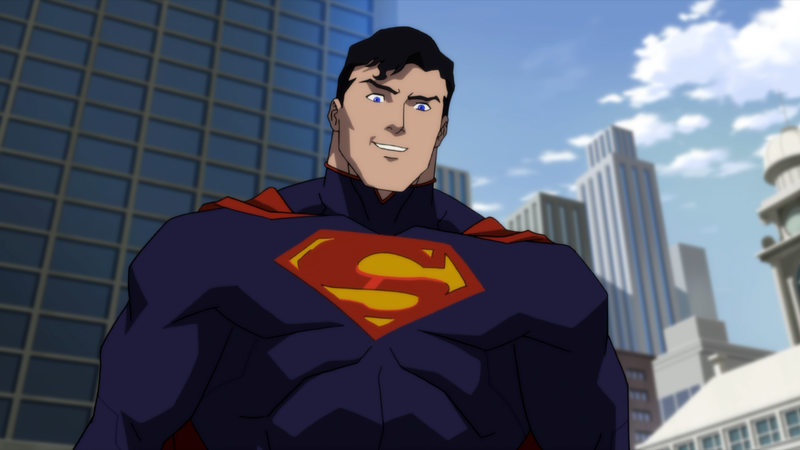 I also enjoyed the animated costume designs, mostly carried over from the other movies, though if weren’t a fan of the New 52 (where I believe these were inspired from), they might bother you, Superman chiefly. 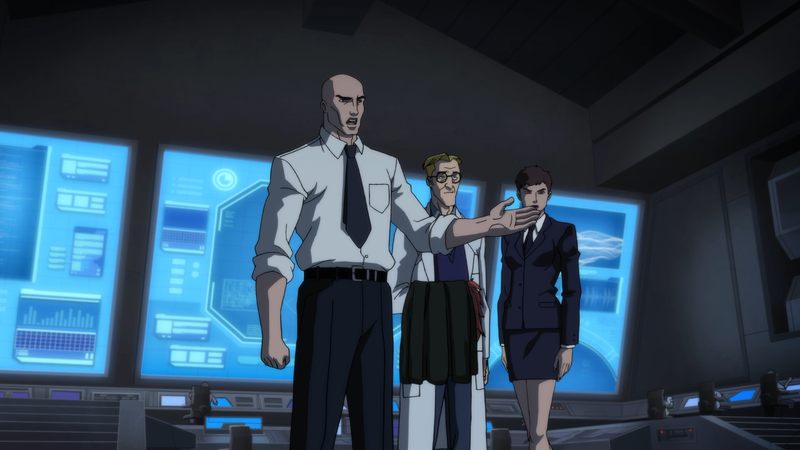 Now, what wasn’t great: Rainn Wilson voicing Lex Luthor. I like Wilson, but the voice he had didn’t nearly match the animated version of the character with a more higher-pitched tone that was so distracting it often took me out of the movie and also didn’t help making him look an actual threat or menace. Perhaps, like O’Mara, it will grow on me with Wilson’s return on Reign of the Supermen. All in all, The Death of Superman is a winner and frankly, as much as I did love Batman v. Superman: Ultimate Edition, it is a shame the studio didn’t take a slow and steady start to the live action realm because I could envision this story in that format and it could have been really special. In any case, I truly loved The Death of Superman and it is well worth picking up on day one, even knowing the conclusion won’t come out until early 2019. 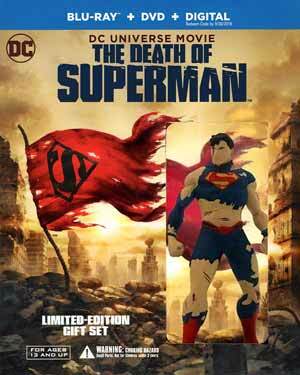 This “Limited Edition Gift Set” comes with a battle-worn Superman figure and packaged inside the box is the standard Blu-ray with an embossed slip cover. The features are unfortunately light, likely saving the juicy stuff for the eventual “Deluxe Edition” combining this with Reign of the Supermen. Sneak Peek (9:33; HD) at Reign of the Supermen with comments by the filmmakers about what to expect and brief scene. The Death of Superman: The Brawl That Topped Them All (16:23; HD) breaks down the iconic and epic showdown that lasted 4 issues in the comics. There are also two From the DC Comics Vault with Legion of Superheroes Season 2 of “Dark Victory” Parts 1 and 2. Warner Brothers mourns The Death of Superman releasing it Blu-ray presented in 1080p and a 1.78 widescreen aspect ratio. Not too surprising at this stage, but while the picture does look good with nice and bright colors, I did tend to notice some instances of banding, albeit it was nothing distracting and doesn’t take all that much away from a nice looking transfer. The disc comes with a DTS-HD Master Audio 5.1 soundtrack. Generally, I’m not very impressed with these tracks on animated features and while I don’t fell this was an exactly robust track or anything, it was still above average with the clear and crisp dialogue levels to the action-filled fight scenes making way through the center and rear speakers. The depth wasn’t amazing with the LFE channel getting little usage, but still I found this to be a fine lossless track. 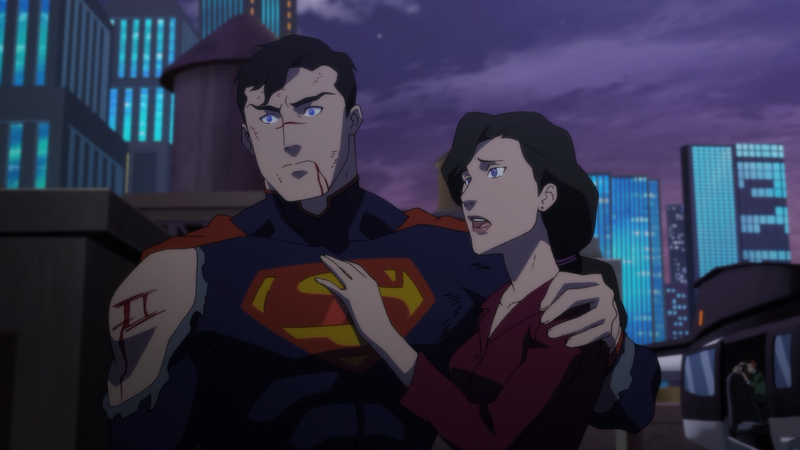 The Death of Superman was a great addition to DC’s Animated Movie line with a tight and well told adaptation of the famous story, doing far better justice than Superman: Doomsday, and some fine voice talent work in addition, though Rainn Wilson’s Lex Luthor sounded off. In terms of this Blu-ray/DVD combo pack, the features were on the lighter side, probably saving the good stuff for an eventual “Deluxe Edition”, but the video and audio transfers were both well done.